As we always say: we love our supercars. And in the spirit of not featuring any cars that are still in production, we have this: the SSC Aero. Produced between 2006 and 2013, the Aero is, so far, the only automobile produced by Shelby SuperCars Inc. (now known as SSC North America). The “Shelby” refers to Jarod Shelby, not Carroll (no relation and thus why they had to change the name of their company). Specifications of the Aero changed on a near-annual basis. 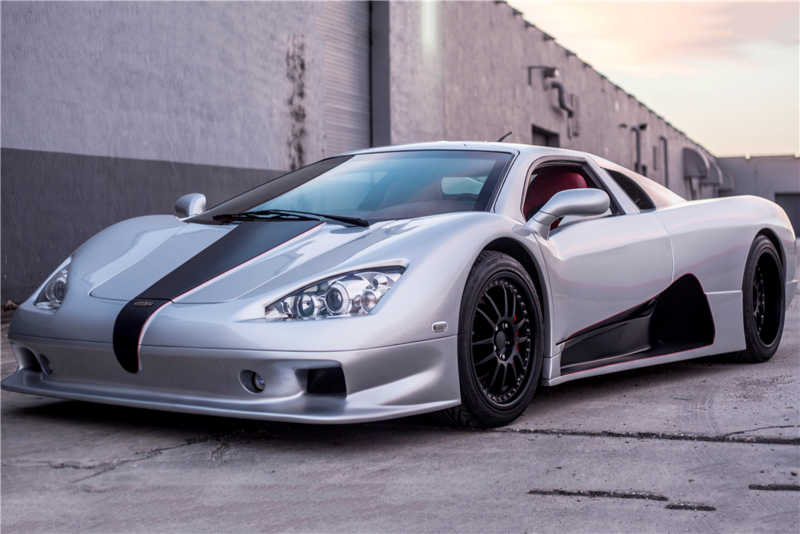 This, the SC/8T (2005 edition) is powered by a 6.3-liter supercharged Corvette racing engine making 787 horsepower. A later version of the car would take the title of “World’s Fastest Car” but this model had to settle for 236 mph. The company’s followup car, the Tuatara, was shown as a concept in 2012 but production has yet to start. With that, you’re looking at a true home-grown American supercar. No one is really sure how many were actually made but this is car #2 and it has 2,178 miles on it. The original price of this car was over $600,000 but it will be much cheaper at auction. Click here for more info and here for more from this sale. This entry was posted in Uncategorized and tagged 2005, aero, auctions, barrett-jackson, cars, sc/8t, ssc, super cars by classiccarweekly. Bookmark the permalink.